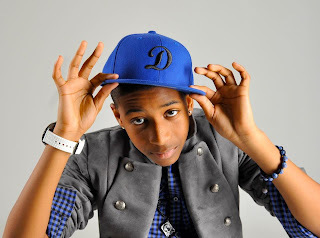 Video: Dylan Allen - "Where Dey Do Dat At"
Typically, this R&B sound isn't exactly what I listen to, but there is no denying the talent of 14 year old singer/dancer Dylan Allen. The young musician has been signed to Darkchild Records since he was 13 and since then he continues to build an audience. His latest song "Where Dey Do Dat At" just got the visual treatment, which has the right look and feel for a budding R&B artist. You can check out the video below and stay tuned for more as he works on his debut record.